“Arirang” is a song embodying the unique energy of the Korean people. It has the strength to unite the Korean people and make communication possible through its spirited and enlightening melody and lyrics. 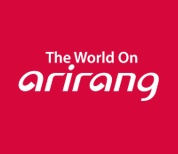 Launched in 1997, Arirang TV/Radio has been taking on the role of "adding something more through communication” to this unique energy of the Korean people. The viewers worldwide have properly understood and accepted Korea, a country with an infinite amount of various cultural contents, and they have expanded their substantive understanding of and exchange with Korea through Arirang TV/Radio. For all ages and countries, the core element of the development and growth of a nation has been its exchange with other countries. Countries geographically challenged against exchange developed later, while countries that were not became advanced, powerful nations. Many people say that the reason Korea became a cultural powerhouse was because there were broadcast media such as Arirang TV/Radio to be the bridge of exchange. We became a medium that didn't settle for providing the viewers worldwide with chances to encounter Korea, but also created a relationship with them through communication to the point where we took a special place deep in their hearts. Arirang has now become a brand and passageway that touches people's hearts through communication. We are doing our best at Arirang TV/Radio to fulfill our role as a media diplomacy channel that keeps a balanced voice by not only presenting Korean culture but also strengthening our in-depth news and current affairs programs. At a time when the tensions on the Korean Peninsula and in Northeast Asia are rising, we are the only English-using international broadcasting company that can deliver news with the most accurate and objective point of view regarding the situation on the Korean Peninsula. With these original contents as our foundation, we are broadcasting to approx. 140 million households in 105 countries, and we are expanding mutual exchange with leading foreign broadcasting companies by entering into broadcast exchange agreements with 95 broadcasting networks in 57 different countries. In addition, we have formed partnerships with global video platform companies, supplying video contents to approx. 180 channels, through which our social media presence is growing increasingly. 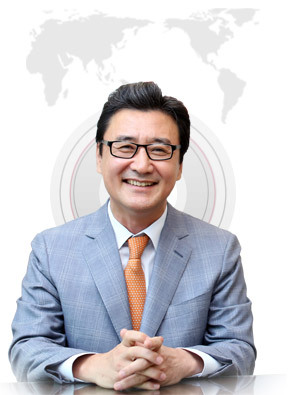 With the force that we had when we connected worldwide viewers as one by broadcasting without borders for the first time in Korea in 2000, we are now pouring our efforts into "communicating and forming relationships" with each and every viewer. ‘Si vales bene est, ego valeo’ is a phrase that means "If you are well, that is good, I am well too.” It was a greeting that the ancient Romans regularly used when writing letters. Saying that ‘I am only well if you are’ wholly corresponds with the meaning of ‘Arirang’ - ‘Let's enjoy happiness together.’ It seems that humankind universally feels joy from mutual communication and relationships.